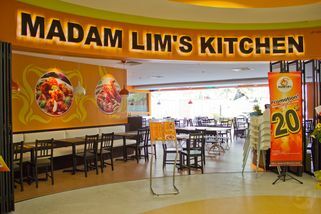 Part of the Madam Lim's Kitchen Restaurant chain. Drive along Lebuhraya Damansara Puchong and after you go past 1 Utama on your left, turn left into Persiaran Surian. Drive past Ikano Power Centre and take the second right turn into Jalan PJU 7/1. Drive straight and you will see Tesco on your right, after The Curve. 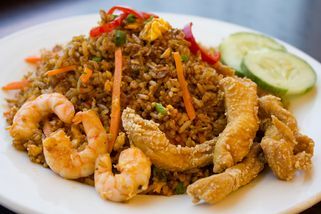 If you are looking for a place that serves a wide variety of Southeast Asian food, give Madam Lim’s Kitchen a try! 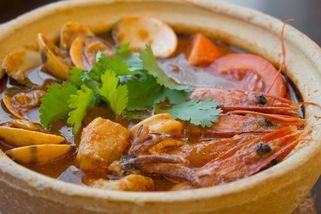 They serve a fusion of Chinese, Nyonya and Thai food, and in the process they have created one of the most expansive menus you can find. 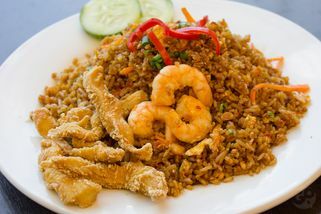 Diners can order individual meals like fried rice or noodles, snacks, complete individual set meals, or if they prefer to there’s the option to order a la carte dishes which are available in either a small or large serving. Tesco Mutiara Damansara is a familiar place to many local shoppers. 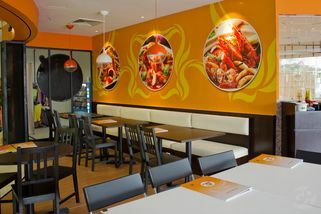 Being situated between several large malls may give Madam Lim’s Kitchen here some competition but they have stayed strong with their own unique identity and in doing so has managed to remain a popular choice for many. i ordered kam heong beef set where it comes together with rice, soup, vegi and fruits. great deals for only Rm13.90. 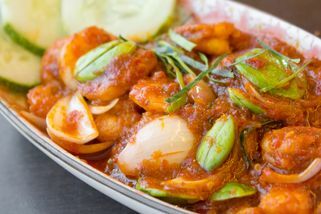 my suggestion, kam heong will be great with fish or any seafood item. be carefull, its a bit spicy. "Alot of choices for craving Mommy to be"
I was sick of food in my office area. So able to drag my husband here during lunch hour. They have alot of food set as well as ala cart choices. 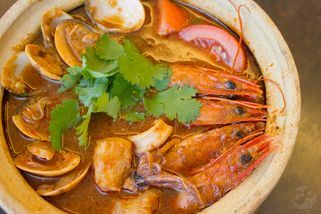 Their best dish i guess is 'Sambal prawn'. But ive been craving for anythg ginger in my food so i choose Ginger Beef Kuew Teow. It's nyummy and just how like i expect it should taste. The orange juice also juicy and not too sweet. We arrived there around 1.30pm and not so many people around so the service quite fast. We also had Deep Fried Sotong and it's not bad too. But perhaps if they can cut it into small pieces will be great. We will definitely come here again.